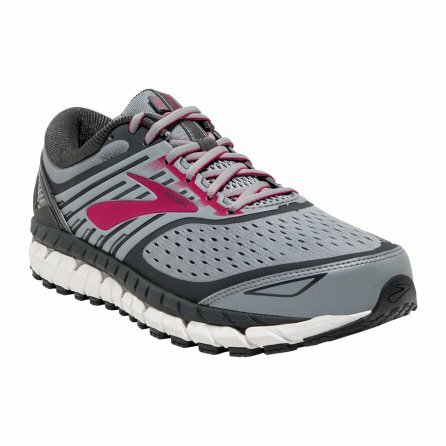 Every step of your run puts three times your body weight on your feet, so the Brooks Ariel Running Shoe is designed to help cushion and support you longer than regular shoes ever could. It does this using a Super DNA Midsole, giving this shoe more durable rebound and helping smooth out rough conditions too. The support comes from an Extended PDRB, which works with the integrated Segmented Crash Pad to control pronation and roll your feet forward into your next step more smoothly. Theis helps limit wear on your feet, keeping you comfortable on long and short runs alike.